StarDesign Absolute True Ambassador "Franz"
CC, CACIB (it's the first CACIB of "Absolute"-litter) and BOB in Rovaniemi awarded from Finish judge Mrs. Saija Juutilainen. 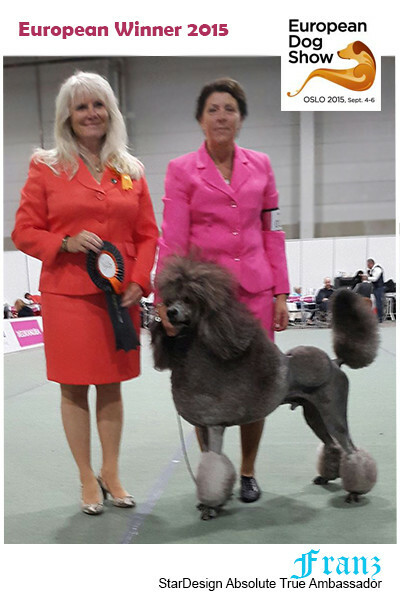 Big congratulations to his owers! 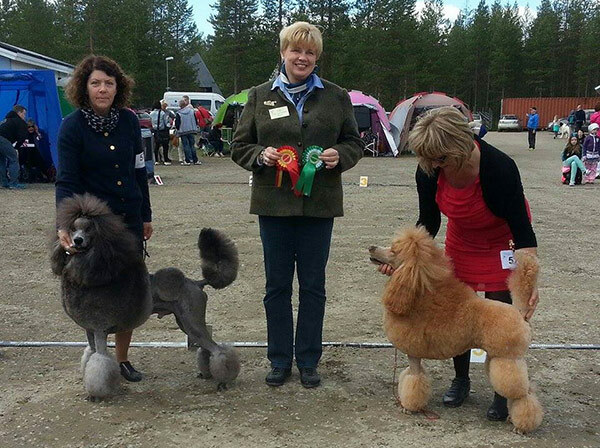 We are very proud of this beautiful young boy! 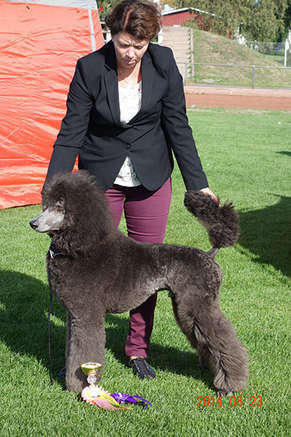 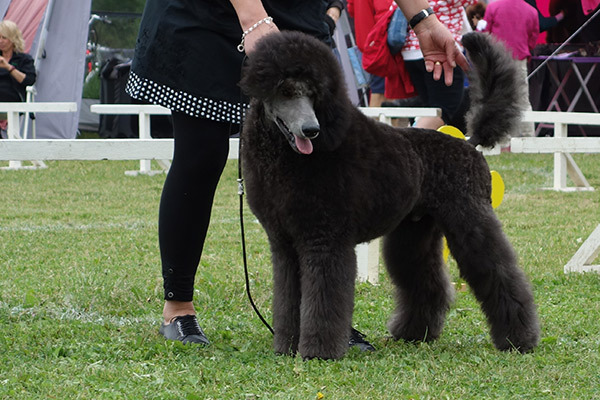 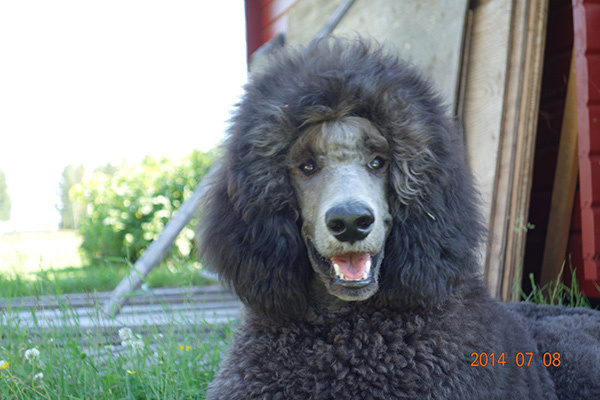 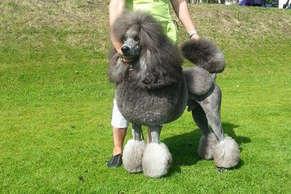 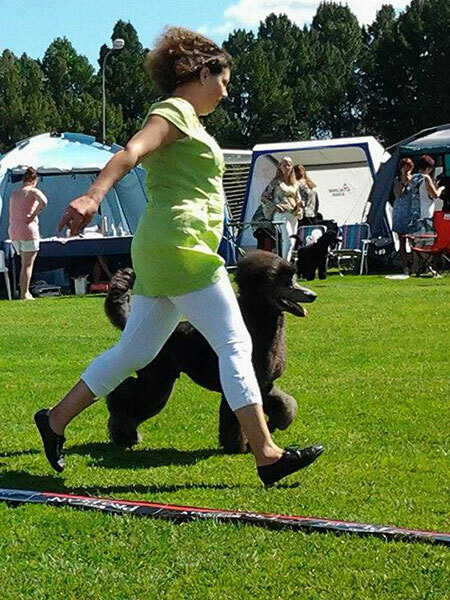 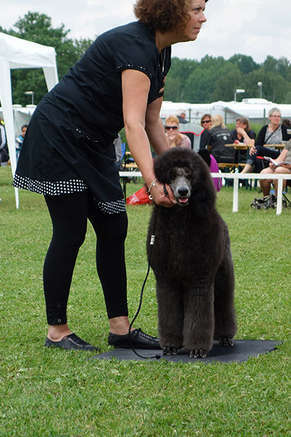 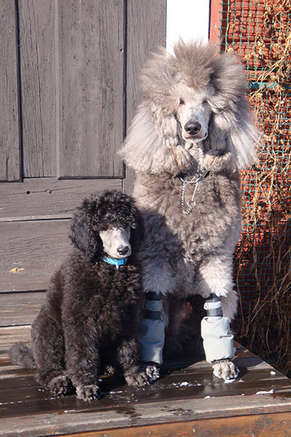 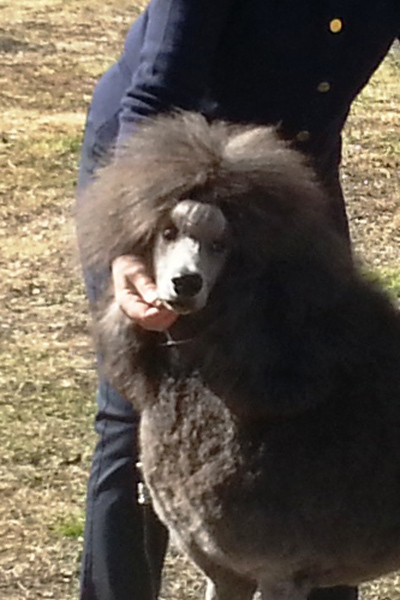 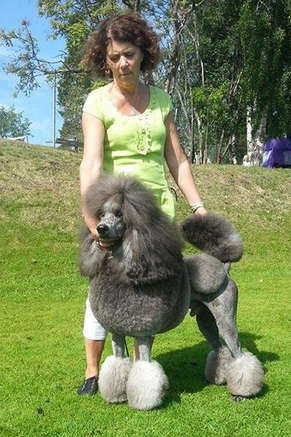 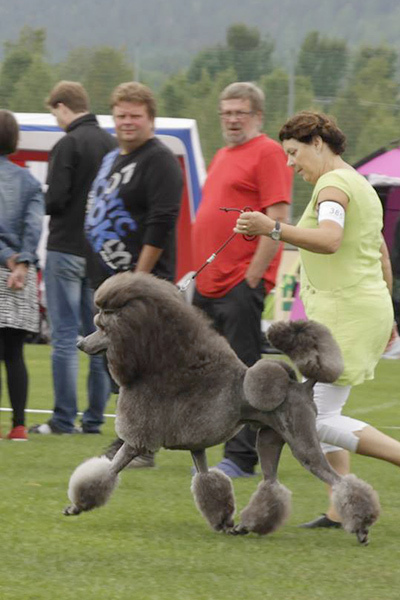 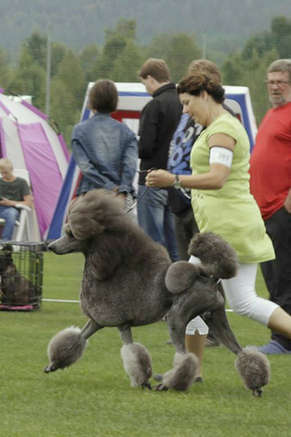 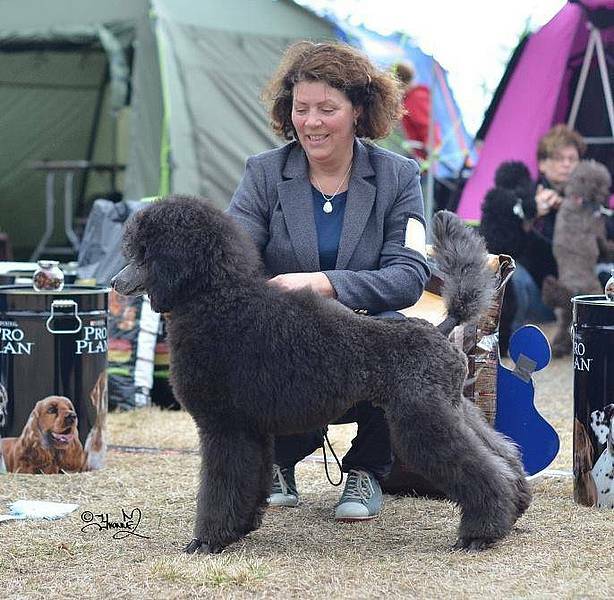 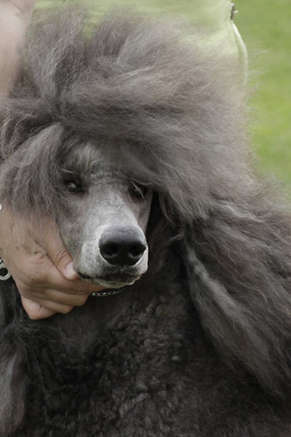 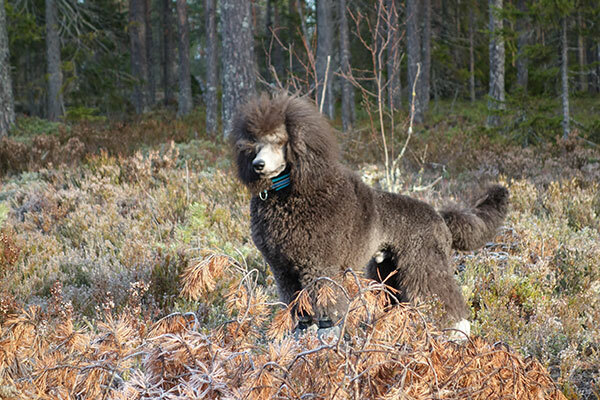 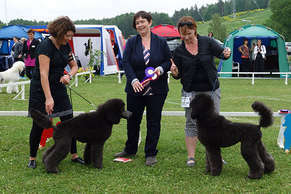 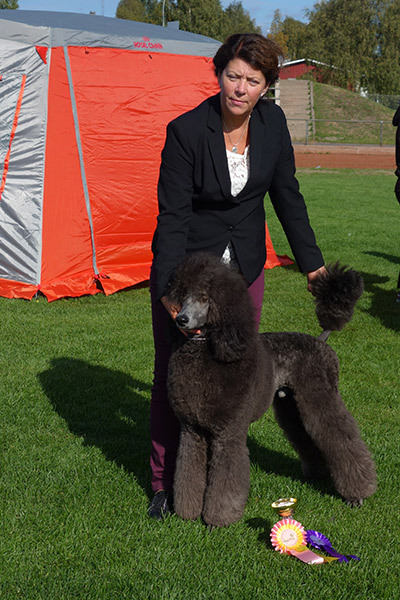 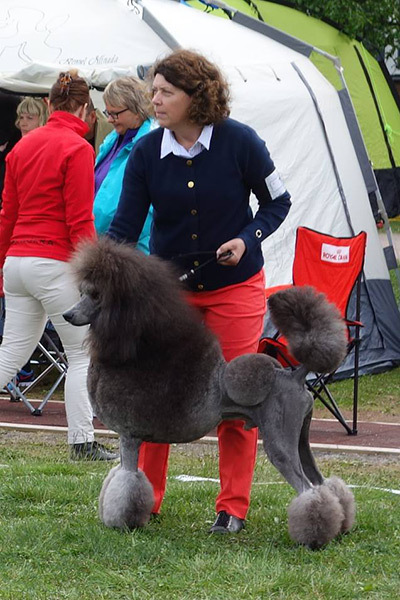 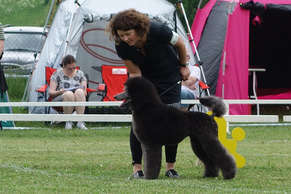 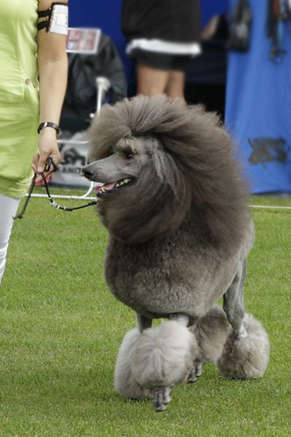 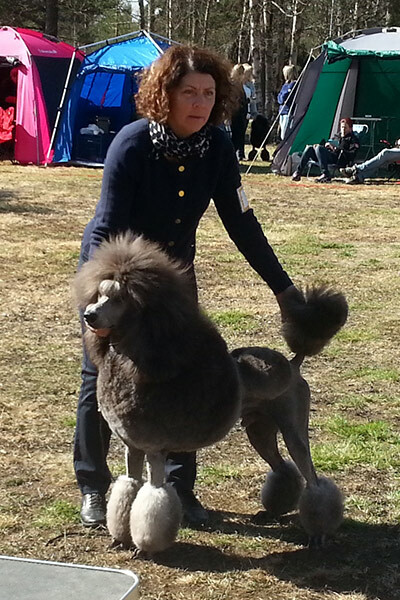 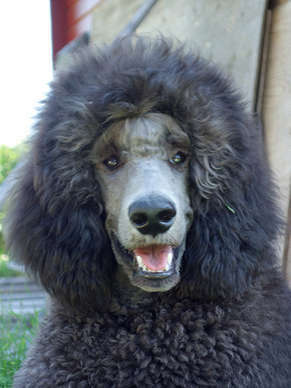 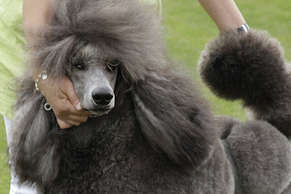 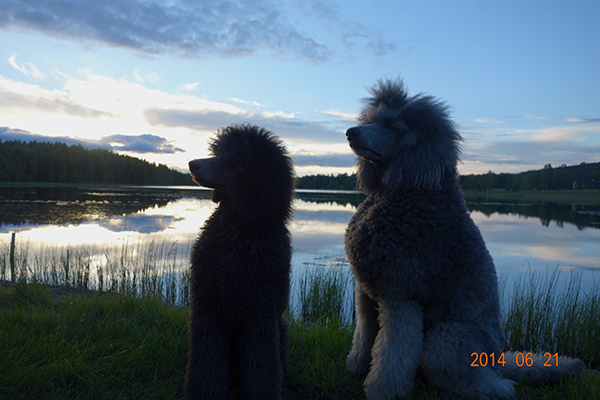 We have to point out that showing a poodle in Sweden is different to the rest of FCI-Europe. 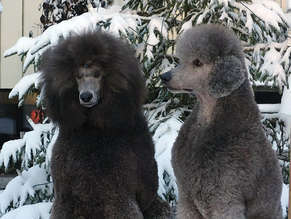 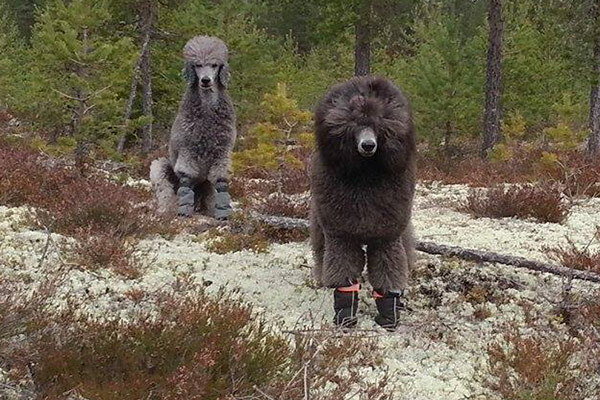 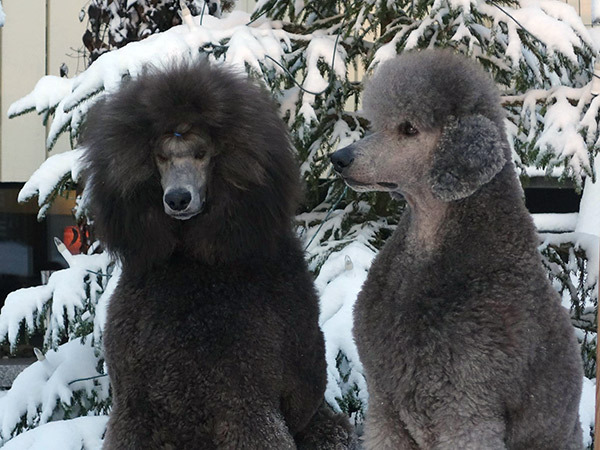 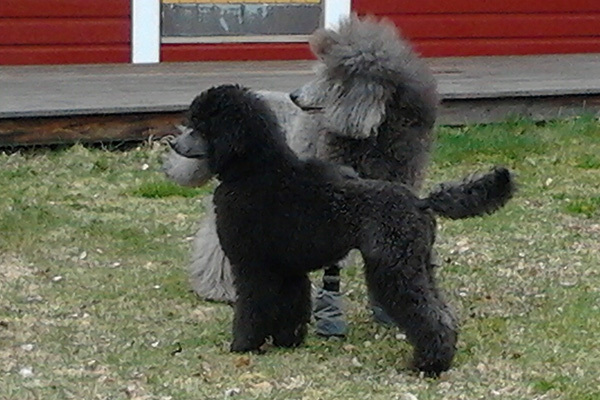 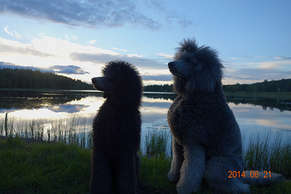 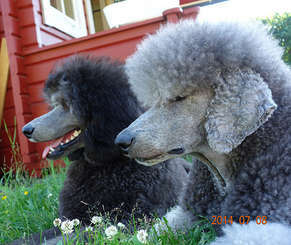 In Sweden all colors compete together in the classes, like the Toy Poodles. 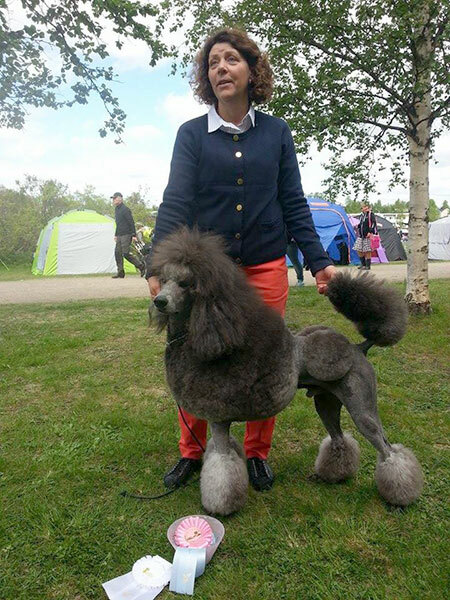 To get a CC in Sweden is not easy, especially for a young silver during color-clearance time. 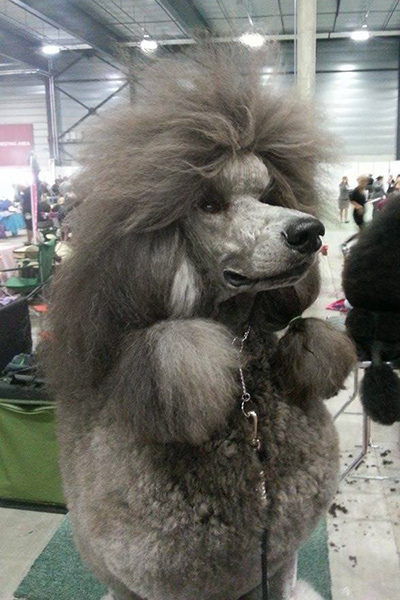 what an amazing face he has!